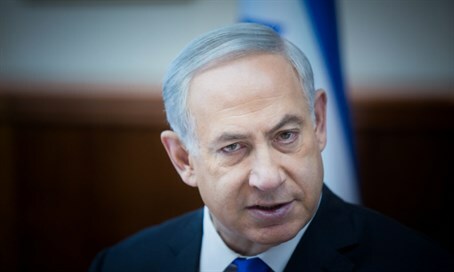 Prime Minister Binyamin Netanyahu calls attacks on the ISA 'unacceptable', dismisses evidence of illegal torture during Duma interrogations. Prime Minister Binyamin Netanyahu addressed mounting evidence that the Israel Security Agency (ISA or Shin Bet) tortured suspects in the Duma arson case Tuesday, insisting all ISA actions are held under the law. "ISA chief Yoram Cohen and his staff do excellent and important work for the people of Israel and for the security of Israel," Netanyahu stated, during remarks in a press conference with Ukrainian President Petro Poroshenko. "The attacks on them are unacceptable. We are a country of law." The Prime Minister said the ISA interrogations are carried out under law and under the close supervision of the Attorney General and Ministry of Justice, as well as the courts, and with their consent. ''There is Arab terror that we are chasing, fighting day and night in every arena, but unfortunately from time to time there are also terrorist acts performed by Jews," Netanyahu said. "The ISA also handles them." "We will not accept terrorism by either side." Earlier Tuesday, attorney Itamar Ben-Gvir accused the ISA of sexually abusing the prime suspect in the case during the course of the interrogation, amid a string of already-damning evidence mounting against the intelligence body. Civil rights groups have called for the ISA to be investigated over the torture, which - if proven - may run contrary to Israeli law. In one case, the ISA was found to have illegally detained one of the suspects, a minor, for longer than the 20 days mandated by law.